We almost died by chocolate at Union Street Grill and Grotto. 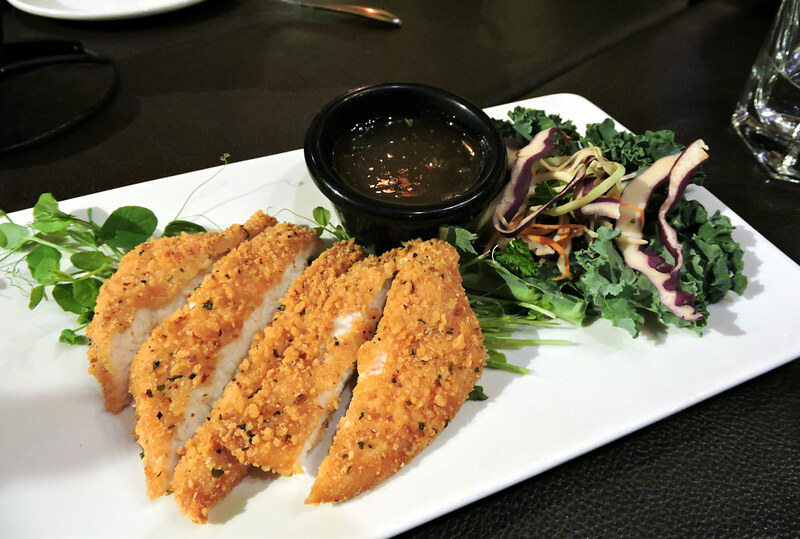 A delicious family restaurant in the Comox Valley. We were tired and haggard after a long day up on the slopes of Mt. Washington. There’s nothing quite like coming down from Mount Washington after a long and rewarding day like knowing you have 6:00pm dinner reservations and you don’t have to cook. And it’s even better when you get to dine at a fantastically comfortable come-as-you-are eatery with fresh, truly locally sourced food that tastes great to the entire family. Union Street Grill and Grotto uniquely has two sides to the restaurant: one is counter service like a deli and the other offers sit down service. We walked in with snow boots on and hair a mess, but it didn’t matter as we sat down at our table, relaxed and were given a menu by welcoming staff. I was immediately impressed when I was given an additional menu with only gluten free options. If you, like me, are limited in your food choices, then you will be delighted to see this menu full of tasty options. I have a secret mission every time I eat out…order something I cannot replicate at home. Union Street Grill made it quite easy for me to do. In fact, I’m not sure I could make anything from the menu taste as good as it did in the restaurant. You’ve heard it said, “the secret’s in the sauce”? Well then, Union Street Grill and Grotto is full of secrets. All their sauces are created in house, making them fresh and full of flavour. As Jay was eating his grilled prawn tortellini, he revelled in his wise choice of a dish he knew I would never be able to replicate. As I sampled the sauce, I knew he was right. And my gluten free pork tostada was no different. It was the type of dish I wanted to keep all to myself so I could savour every last morsel. The service here was friendly and comfortable and quick. And after our day on the mountain it was just what we longed for. 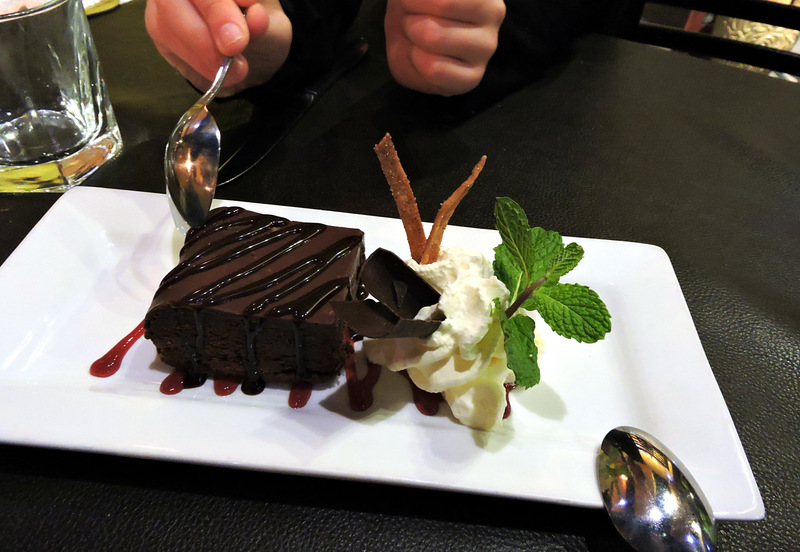 We finished our meal with amazing desserts…lemon sorbetto for the girls and chocolate death torte for the boys. After the boys were assured they would not die from this chocolate, they gobbled it right up, fighting over the last crumb and bit of sauce with their spoons. “Yummy” just doesn’t quite do it justice. With full and more than satisfied tummies we left to go for yet another swim in the hotel pool at the Holiday Inn before calling it a day and crawling into bed. 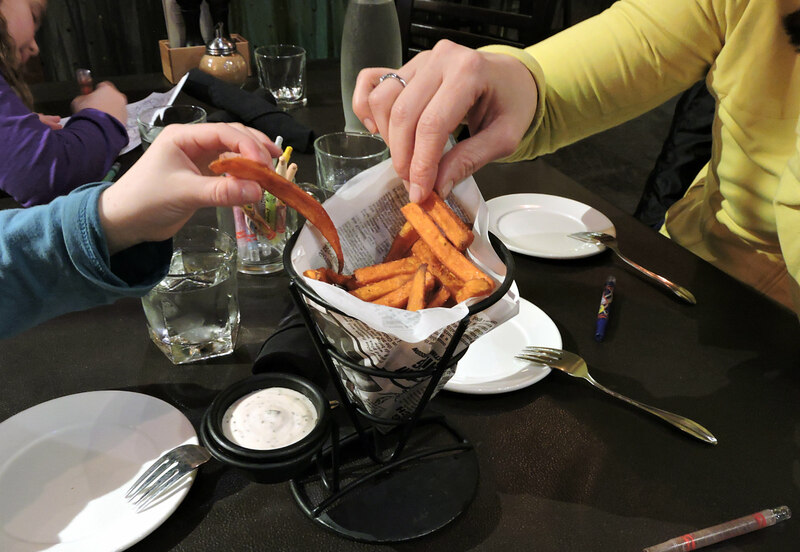 Try it out….Union Street Grill and Grotto. You will thank me. Visit the restaurant online and learn more. When you’re ready to walk off that dinner, here are 5 wonderful FREE Year-Round Activities In The Comox Valley including hikes, bike rides, sea lions, beaches, museums and more! One thing we’ve noticed in our visits to the Comox Valley is the plethora of quality and unique restaurants in this concentrated area. Many believe whole-heartedly in the farm to fork movement providing fresh, locally-sourced food. Turn Into a Skiing and Snowboarding Family This Winter!